Ultraframe have recently ran a prize draw for customers who have had a new roof installed with the chance to win a Kindle Fire, by simply taking a photo of the new roof and send it to us. Our first winner is Mr Peter Brawn who had a Ultraroof installed. 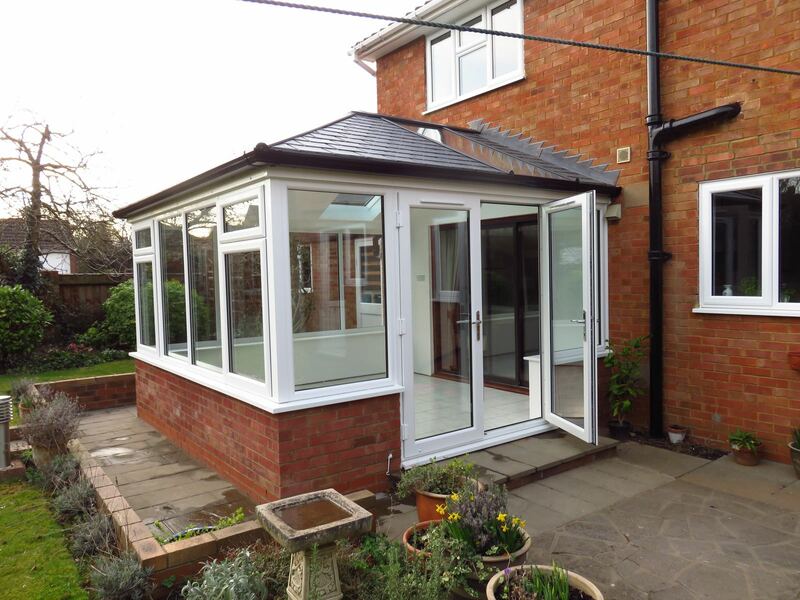 Mr Brawn commented on the reason for the change to his conservatory "The project was essentially the replacement of a normal polycarbonate roof on our conservatory with an Ultraroof roof. However, because the original conservatory was nearly 20 years old, we also replaced all of the double glazed windows and doors with A+ rated units which were fitted with Pilkington K glass. Insulation was also placed in the cavity dwarf walls which formed the base of the conservatory. The reason for considering the change was that the conservatory was only being used in the spring and autumn because it is south facing and was too hot to use in the summer. It was also very cold in winter. Although we could partially overcome this with an electric heater it still ended up being quite draughty. The upgrade has transformed the conservatory into a much more versatile garden room that we should be able use all year round. Even in the first month, we are using it every day and it is our favourite room in the house". Additionally he added " Just to let you know that the Kindle Fire arrived this morning. It was a very nice surprise and I shall look forward to using it as I sit in our new garden room and relax. Thank you for the lovely gift and also for suppling a brilliant product which has transformed our conservatory into something rather special". Our next draw will take place on 1st July, good luck to all entries.